Check-in begins at 8:30 am. 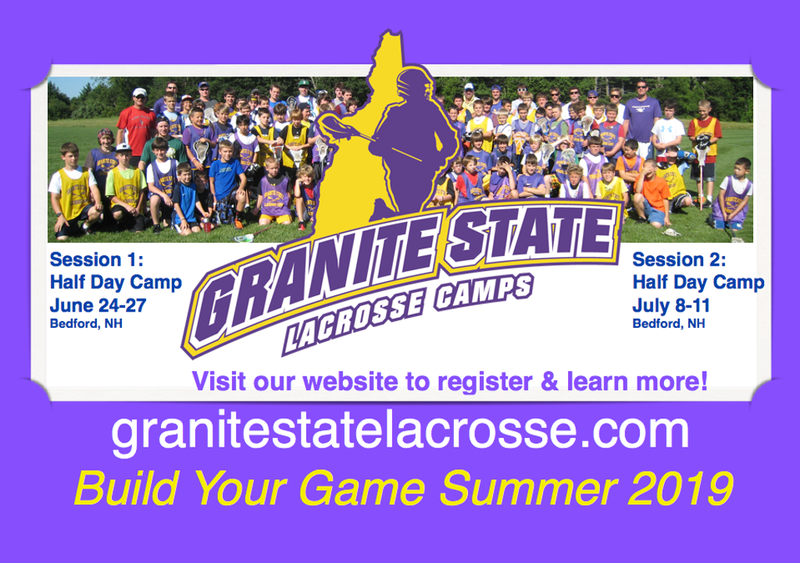 Granite State Lacrosse Camp is for boys ages 6-17, all abilities welcome. Players are divided by position, age and ability. Each camp features a Goalie School! ©2019 New Hampshire Tomahawks - Showcase & Development for College Lacrosse / SportsEngine. All Rights Reserved.